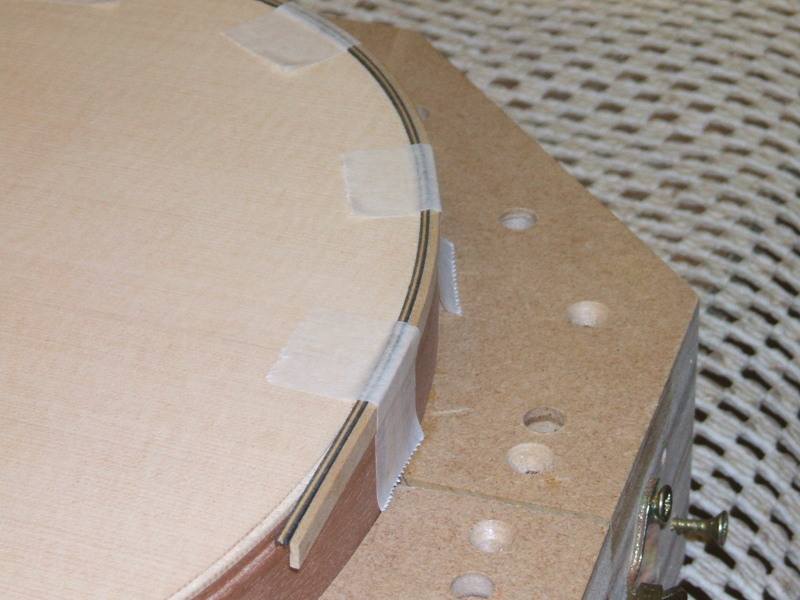 These are the decorative components fitted round the outer edge of a guitar on the top, back, fingerboard, headstock and end graft (see picture below of the end graft). They can be made from either synthetic or natural materials, or a mixture of both, however, I use only natural timbers for my instruments. Firstly they seal the exposed end grain on the top and back which are vulnerable to the ingress of moisture which would cause the timber to expand and contract creating a high risk of splitting. Secondly they provide a protective edge for the instrument in the areas most likely to sustain a knock. Normally the bindings are made from hard timbers such as maple or rosewood and they also provide a contrast to the top/back in terms of colour as well. The purflings are purely decorative and the permutations are only limited by our own imagination. Mixtures of contrasting colours are the norm such as ebony/boxwood/ebony, which would give a black/cream/black mix. Decorative shells such as mother of pearl and Paua,( from New Zealand) are used to stunning effect, however most of these are now protected as well, so synthetic substitutes are now used in their place. 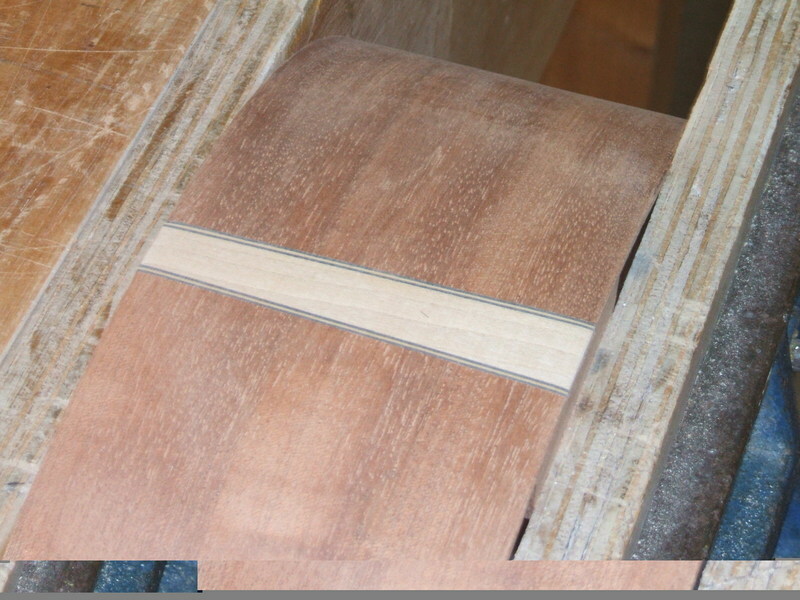 The picture below shows the edge of a Ukulele which has been routed out to receive an Ebony/Boxwood/Ebony set of purflings and a Sycamore binding.